Added on September 19, 2016 by Kavi Guppta. Madhavan Ramanujam, co-author of Monetizing Innovation chats with Strategyzer co-founder Alex Osterwalder on the importance of designing products and services around the price. Listen is as Madhavan provides concrete tips and examples for talking to your customers about their "willingness to pay". 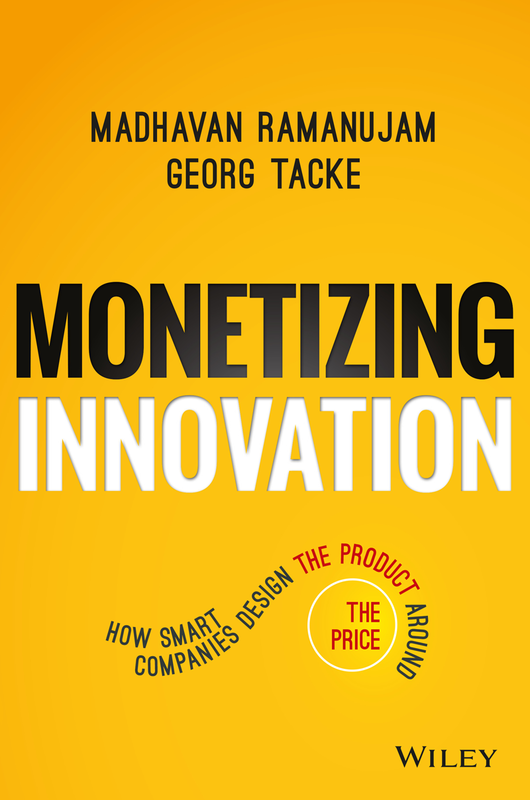 Read Madhavan's book to see how companies design products around the price. Visit the link below for more case studies and examples of monetizing innovation.